The seemingly never-ending saga of the Koelmel brothers' (Michael, pictured left and Rainer, right) planned takeover of their Kinowelt empire has finally come to an end. Insolvency administrator Dr. Wolfgang Ott announced on Tuesday (Jan 21) that the rescue company Neue Spielfilm Vertriebs- und Marketing GmbH (to be known in future as Kinowelt GmbH) had made the payment of Euros 32m for the core activities of the insolvent Kinowelt Medien AG and would take over running operations from January 22. As a statement by Neue Spielfilm explained, "with the acquisition of 18 distribution and licensing companies as well as extensive rights holdings, it was possible to save the complete core business consisting of feature film distribution, home entertainment distribution (DVD/video) and the TV license trading as well as all of the associated jobs"
The new Kinowelt will have access to the DVD, video and TV rights to some 7,000 films in one of the largest film libraries in Germany. 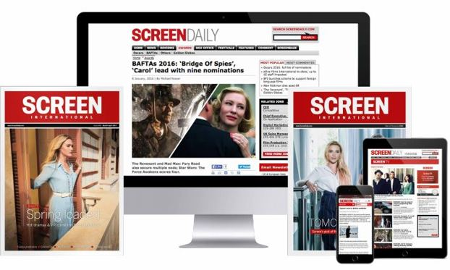 Licensing companies: Screen AG, Broadway Lizenzverwertungs GmbH, Jugendfilm Lizenzverwertungs GmbH, Extrafilm Produktions GmbH and Popular Film GmbH. As previously announced, management of these companies will be handled by Michael and Rainer Koelmel (license trading), Bertil le Claire (organisation and communication) and Ralph Koch (business affairs). Moreover, the companies under the new Kinowelt GmbH umbrella intend to gradually move their centre of operations from Munich to Leipzig by June 2003.